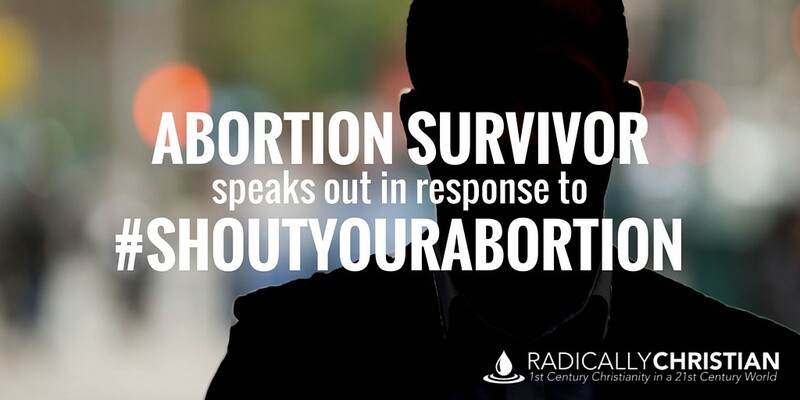 Abortion advocates this week have been encouraging women who have had abortions to tell their stories on social media using the hashtag #shoutyourabortion. A brother in Christ contacted me and said he was only alive because of a failed, or botched, abortion. He also said his family, his heart, and his conscience had been plagued with three other abortions. In light of the #shoutyourabortion campaign, I believe his story and his perspective need to be heard by everyone. For the purposes of safety and anonymity I am not releasing my identity. Not because I fear for myself, but for those whom I may cause inadvertent harm in disseminating this information. I am the result of a failed, or botched, abortion. My mother did not have second thoughts regarding her abortion and leave halfway through the procedure. So, I don’t have one of those happy stories for you. The equipment malfunctioned. The damage done, according to the doctor, would have caused me to be miscarried. So, out of respect for my mother’s life the doctor declined to continue to perform the procedure. Thankfully, I did not find this out until I was much older, so I did not have to wrestle with the feeling of being unwanted or worthless. My mother never made me feel I was a burden or anything less than her beloved child. What hurts the most is when the topic of abortion comes up my opinion is disregarded because I do not possess the proper reproductive system so as to actually have an abortion. As well, it is difficult to hear some of the rhetoric coming out the church towards mothers who have made the decision to abort their babies. I by no means support abortion, but it’s that same playground mentality; “You’re talking about my momma.” I am even guilty of throwing out an angry phrase or two, much to my own shame. I was raised to believe that abortion was ethically okay. The reasoning instilled in me was bringing a child into an adverse environment would be more cruel than terminating the pregnancy. I do not believe my mother had ill intentions, but rather misguided sympathies. She’s human and it’s easier to rationalize your sin than it is to confront it. It is also easier to terminate a perceived problem than to persevere through the hardships. I have forgiven my mother, my biological father and the doctor. I will forever be grateful for the abortion equipment made in China that has given me this outlook on life. Not only am I the result of a failed abortion, but I’ve recently had the bomb dropped on me that I have either an older brother or sister who succumbed to a much worse fate in abortion. While the bomb was still whistling towards the ground my mother asked me how I felt about abortion. I was very clear concerning my respect for life and my belief that all life has to be protected. She then got to the part that was the most important to her, how did I feel about her? I paused for a second and told her the only thing I could in all honesty. I told her she’s still my mother and she did what she thought was best. In my head I was mind-screaming that she was a murderer who took away an opportunity for a beautiful life, but that would not yield positive results. I still remember the car ride to the abortion clinic when I was too young to understand the ramifications of my sister’s actions. I have very vague details in my mind, but something I will never forget are my sister’s tears. She was still a young woman, a young woman who had made poor decisions but still a baby by the world’s standards. I do not wish to justify or vindicate what my sister did, nor her actions leading up to the abortion. I would however like to introduce you to her now. She eventually had another child, but can no longer have children due to the long term effects of the abortion. I have heard many people say such things as “good for people who can’t have children now.” They say this with the understanding that those people are not fit to be parents. At this point we have taken ourselves from the lowly position of a witness to the lofty seat of the Lord as judge. My sister’s story is one that is very common today. A young girl gets pregnant in high school, has an abortion and can no longer have children. They carry that stigma into every relationship and are forced to explain or lie about the cause. 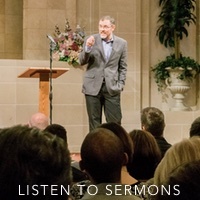 If all of our sins carried such a long lasting effect I believe we would all find that humility James talks about in James 4. This is where I let you in on another deep dark secret. First let me say that this is the hardest thing for me to deal with every single moment of my life. It haunts me more than my own potential demise. When I was 16 or 17 I was sexually involved with a young woman and she soon after alerted me to the possibility of her being pregnant. Those first couple of days, when it was just a possibility, I could not eat or sleep. Thoughts of becoming a teenage father drove me to sickness. She eventually called me and told me she was not pregnant. This was my understanding for many years. Unbeknownst to me she had an abortion. What could that child have become? What would he or she look like? Where would I be now if he or she had lived? These questions run through my mind every time I pick up one of my children. I must admit that at the time a 16 year old boy would have gladly welcomed an abortion. It’s what my sister did after all. The older man does not feel this way. I have forgiven her, but I have had a tough time in forgiving myself for placing a 17 year old girl in such a position. While the world is blowing up with #shoutyourabortion we have to be those who have a voice to shout our love! Love is a popular word, feeling, and talking point. It is a much less popular action. Leviticus 19:17-18 is a teaching I have failed to appreciate when it comes to abortion. If you’re making excuses for righteous indignation right now, I would implore you to consider the parable of the Good Samaritan. It wasn’t about who the neighbor was, but who was going to be a neighbor. It is within our spiritual right to reprove our neighbor, but Yahweh’s instruction is also to love our neighbor. If we are going to live agape kind of lives where we love without condition we have to let people move past their condition. Even those who proudly shout their abortion are in need of your unconditional shout – and action – of love. Wow! That was difficult. Let me conclude by offering a challenge. I will begin by asking a question. How do we change the culture of death and disrespect for life? More blogs and articles circulating around the brotherhood attacking the culture will only stir up the same righteous indignation. To change culture we must confront culture. The disciples were in the world, yet were not of it. We have opportunities every day to engage our communities, whether it’s knocking doors to invite someone to church or getting involved in a community project. Let me encourage all of us, yes US, to take advantage of the wheels already spinning in our communities. Boys and Girls clubs, shelters, rescues and schools are yearning for positive influences to help our kids, young men and women to make something of themselves. Place yourself on a list to adopt one of these children of God. Give a young mother another option. I don’t know about you, but I found this brother’s perspective extremely humbling and challenging. 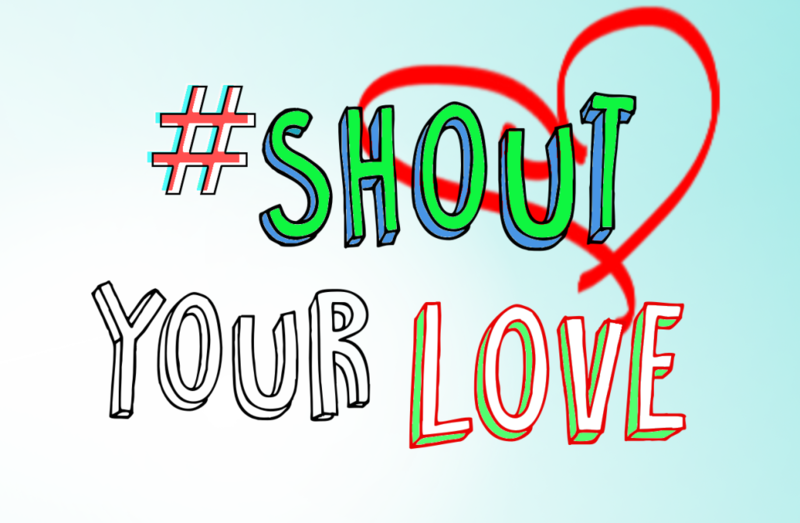 I believe the message of #ShoutYourLove is one Christians ought to take up. Perhaps the world needs to see less “righteous indignation” and more humble love from us. We must love our unborn neighbors, our neighbors who have had abortions, and all of our neighbors who need to see the love of Christ in action. If we want to make a difference in this dark and dying world, if we want to help the lost to be reconciled to God, we must “engage our communities.” If we’re going to teach young people to treat themselves and their unborn children with respect, we have to show them that lives matter. So take this brother’s advice and #ShoutYourLove. P.S. Because of space, I wasn’t able to include all of his original thoughts, if you would like to read his entire article, you can download it by clicking here.